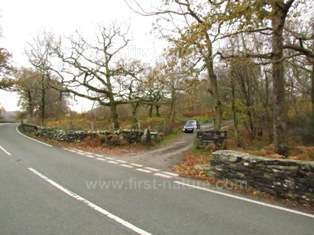 This NNR is difficult to visit due to a complete lack of available car parking apart from a small layby on the left-hand side of the road (if travelling towards Beddgelert) situated a short distance beyond the access point to the reserve; the layby can accommodate two small cars at most. The new Welsh Highland Railway is being developed and runs very close to the NNR, but it remains to be seen if there will be a stop on the route that would make a visit to Hafod Garregog feasible by using the train. 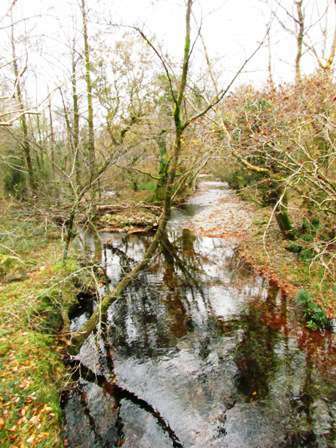 If you are able to get to Hafod Garregog there is a pleasant stroll along a wooded lane that runs beside the River Glaslyn. THe lane also serves a few private houses. There are plenty of lovely woodland plants to enjoy in spring, and this is an excellent place for seeing summer migrant birds. On the return walk, the mountain views are wonderful, with Snowdon itself clearly visible when the weather is fine. 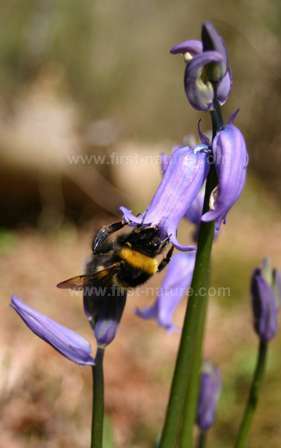 The reserve is owned by the National Trust and managed in association with Natural Resources Wales (NRW). From Penrhyndeudraeth take the A4085 in the direction of Beddgelert. Continue through Tanlan and pass the right hand turn towards Croesor. The entrance to Hafod Garregog is on the left-hand side of the road immediately opposite a small lane that leads to Bethania (but please note that this lane is not signed). Continue past the reserve entrance and park in a small layby about 100m further down the road on the left-hand side. There is open access to Hafod Garregog throughout the year, and the walk consists of a gentle lane through the woodland. There are no facilities at the reserve but Beddgelert has shops, cafes and toilets. Further along the road in the direction of Beddgelert there is a Pay-and-Display National Trust Car Park for Nantmor which has public toilets. The woodland at Hafod Garregog is a typical Sessile Oak wood of which there are many to be found in rocky river gorges in this part of Wales. The rivers running through the gorges make the air very humid, and the humidity is prevented from evaporating, even in hot weather, by the dense tree canopies of the woodlands. This creates an ideal environment for mosses, ferns, liverworts and lichens in particular, and Hafod Garregog is well known for its diversity in these kinds of plants. The spring flora, including the carpets of Bluebells are delightful, and other plants to look out for which are typical of this habitat are Common Cow-wheat, Lady's-mantle (Alchemilla vulgaris), Water Avens (Geum rivale) and Sweet Vernal Grass. Insects thrive in the moist enviroment found in woodlands like Haford Garregog which makes it a good place to see summer migrant birds which can find plenty of food to feed their young. We are lucky in Wales to have so much ideal breeding habitat for these birds whose numbers are falling year on year due to the many perils they meet on their journeys from Africa and other far-distant countries where they spend the winter. Migrant breeding birds that arrive and swell the resident bird population at Hafod Garregog include Pied Flycatchers (Ficedula hypoleuca), Wood Warblers (Phylloscopus sibilatrix), Tree Pipits (Anthus trivialis) and Redstarts (Phoenicurus phoenicurus). The drumming of the Great Spotted Woodpecker (Dendrocopos major) can be heard from spring onwards, and along the river look out for Dippers (Cinclus cinclus) and Grey Wagtails (Motacilla cinerea).